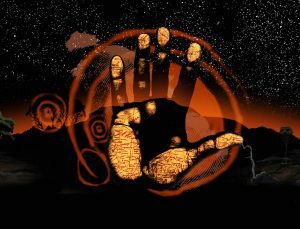 This page provides teachers and educators with a range of curricula and study guides for teaching Aboriginal Astronomy. A Study Guide for K-10 students. The teaching and learning activities in this guide are designed to support quality teaching of Aboriginal perspectives within the NSW K-6 Science Syllabus. Whilst the activities have been created with Stage 2 and 3 students in mind, the content of the guide provides understanding that woul d enrich conversations about Aboriginal histories and cultures, and can be tailored to suit K-10 students. Planetarium Show. There are many variations to the stories and cultures of the First Australians. This planetarium show features stories of the night sky of the Boorong people of Victoria. Two Aboriginal teenagers from the city at their family’s Country at Lake Tyrrell in north-west Victoria, they spend a weekend walking around the lake with Grandma and Grandpa, hearing stories about the constellations and how they relate to their culture. 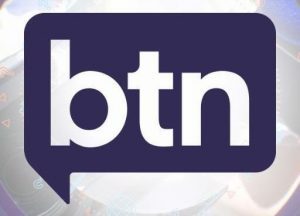 This show now features at both the Melbourne Planetarium and Sir Thomas Brisbane Planetarium. Science Years 7-10, from Aboriginal educational contexts, NSW Board of Studies. 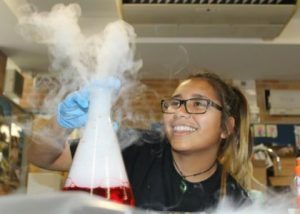 The main focus of the Aboriginal Perspectives in Science Project has been the development of teaching-learning resources that might assist Science teachers to develop programs emphasising the Aboriginal and Indigenous cross-curriculum content, dealing with it in culturally appropriate ways and in authentic contexts. 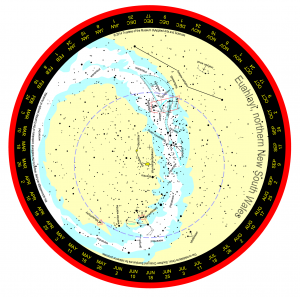 Planispheres – also known as star wheels – are a handy educational tool to show you what it up in the sky at a certain time on a certain date. 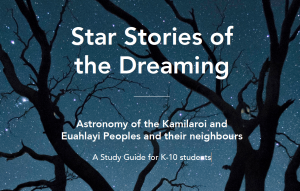 Two star wheels were developed that feature Kamilaroi and Euahlayi constellations and star names, along with an education brochure. The star wheels are A3 in size and can downloaded as a PDF, printed, then combined with any similar southern hemisphere star wheel of the same size. 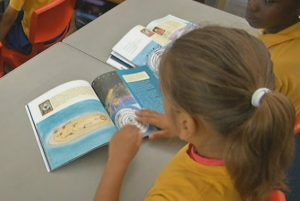 A small primary school in Perth is using the oldest stories from the Noongar people to teach year 2 students the wonders of the Universe. The book features Noongar Dreamtime stories. This is not just an acknowledgement of the past, but it highlights the importance of incorporating traditional knowledge into the curriculum at schools like Westminster Primary. It was written by the students themselves, and the kids love being the stars.